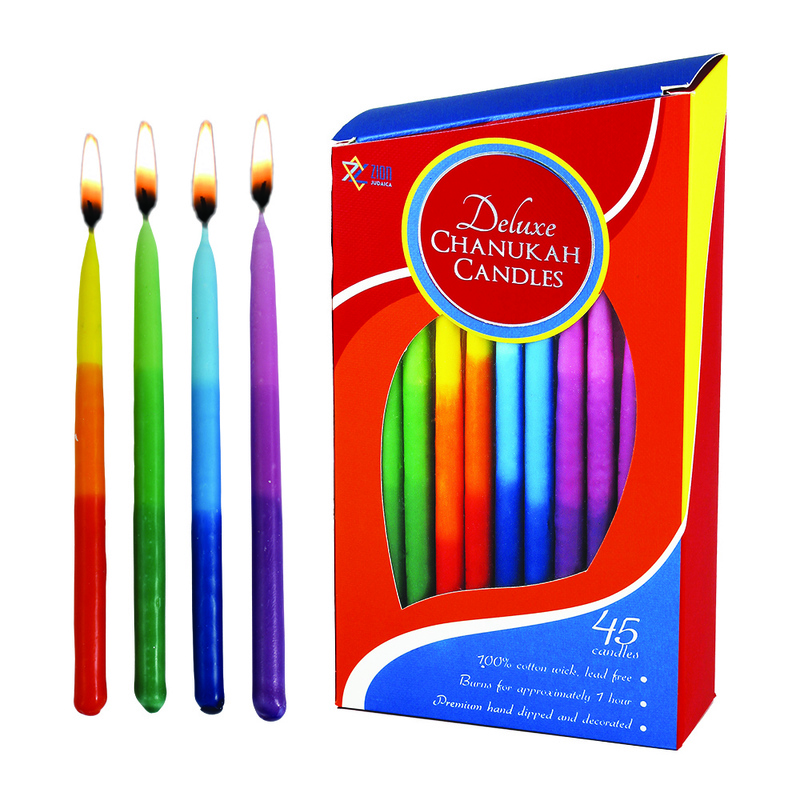 New luxurious Hanukkah candles with refreshing tri color tones. These freshly designed Chanukah candles will add sparkle and beauty to any Menorah. A combination of exciting colors to enhance your Menorah like never before.